"Does God accept a marriage that was officiated by someone who is not a legitimately ordained minister? What about marriage by a Justice of the Peace?" The Bible teaches that God designed and created the institution of marriage. Consequently, He says a lot about how husbands and wives should relate to each other. He also teaches us about proper relationships between unmarried people. But the Bible is totally silent about the rituals by which society recognizes a marriage. There is no verse in the Bible that says a priest, a minister, a pastor, or any religious worker must be the one that ties the knot. Traditions about wedding ceremonies, legal records, and officiants are determined by the culture. In our culture, we have assigned that authority to our government. In the United States, each State has its own regulations as to who can officiate weddings, and those laws vary greatly from State to State. Some States are strict, and others are very lax. So my authority for officiating weddings comes from the government, not from the church, nor from the Bible. 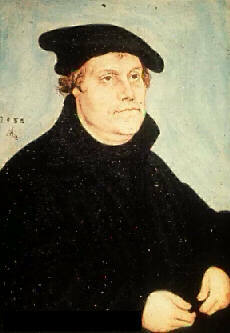 It is interesting that Martin Luther refused to officiate marriage ceremonies in the church. He wrote in his little marriage Booklet that regulations regarding the legal registration of marriage are a matter for the government and do not belong in the church. So when a couple in his congregation got married, they exchanged their vows outside in front of the church. After they were legally married, they came inside the church to worship God and receive instruction in God's Word. Christian couples commit no offense against God by having a civil ceremony with a judge officiating. However couples who are not committed Christians should not ask a Christian minister to officiate their wedding nor ask to have their wedding in the church, because they ought not make vows to a God in whom they don't believe..